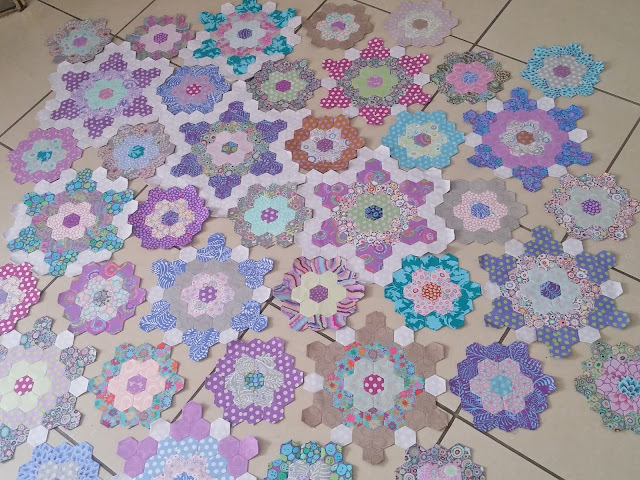 We had a lovely long weekend, so I made quite a bit of progress on my hexagon quilt. Also a few more purple-toned fabrics that I ordered from Kaffe Fassett's latest collection arrived by post last week. Just in time! 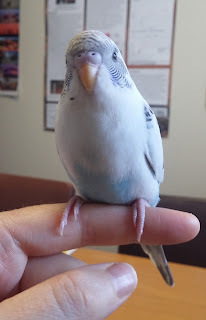 Also we got a new little budgie friend for Sweety-Bird and Luc. Her name is Cutie. I think that she looks like a cloudy sky. She is very playful and a bit boisterous; she spends a lot of time chasing the two males around. They're not used to such a bold budgie, LOL. Love the bird, have a happy time with her! Lovely progress, these hexagons are so pretty. You've been busy! Lots of beautiful progress. Your new bird is adorable. It must sound lovely at your home, with the chirping of all the birds. Only just catching up with blog posts and had missed seeing how much progress you've made with the hexagons. Cutie matches the fabrics pretty well! 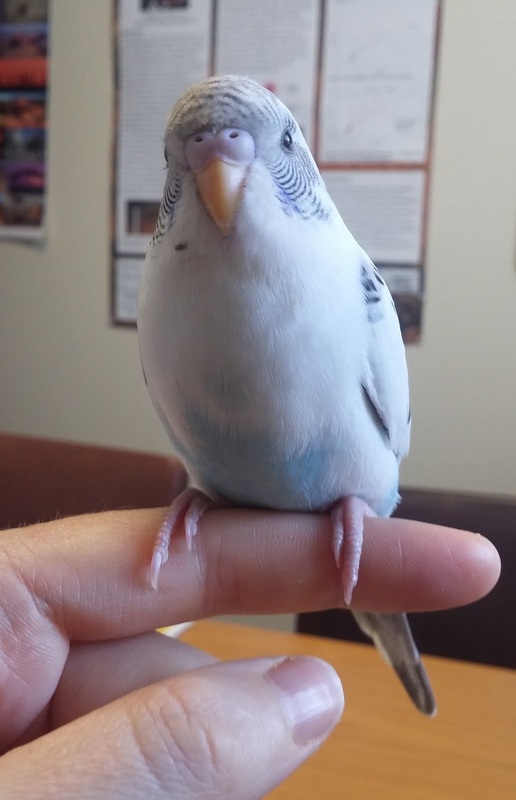 Se's lovely, I had a budgie when I was around 8 years old, named Peter and he was a lovely turquoise blue.